‘Félix Solís’, from the Félix Solís Avantis group, is the only Spanish brand that ranks among the ten largest wine brands in the world, according to the study presented by IWSR, which analyzes the first hundred references of still wines in the world. 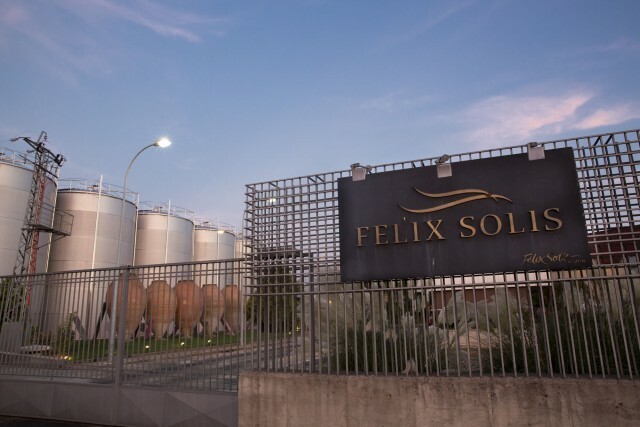 ‘Felix Solis’ is ranked number 5, with a volume in 2016 of 14.74 million cases of wine (3.2% less than a year before), with the United Kingdom as the main destination market for its exports. It is ranked number five, with a volume of 14.74 million boxes of wine in 2016 and the United Kingdom as the main destination of its exports. In first place, for the second consecutive year, the French brand ‘Castel Frères ‘, with 24.96 million boxes (-3.1% compared to 2015), closely followed by the US brand Franzia ‘, The Wine Group (almost 24.53 million), and’ Barefoot ‘, then E & J Gallo (22.5 million), which grew 2.6% and 6.2%, respectively. ‘Barefoot’ and ‘Concha y Toro’ (Chilean) brands grew the most in the last year. Among the top ten wine brands by volume, according to IWSR data, there are five North American companies, two French, one Chilean, one Spanish and one Australian. The main export markets of these brands include the United Kingdom, the USA, the Netherlands, Japan, Canada, Denmark and Poland.